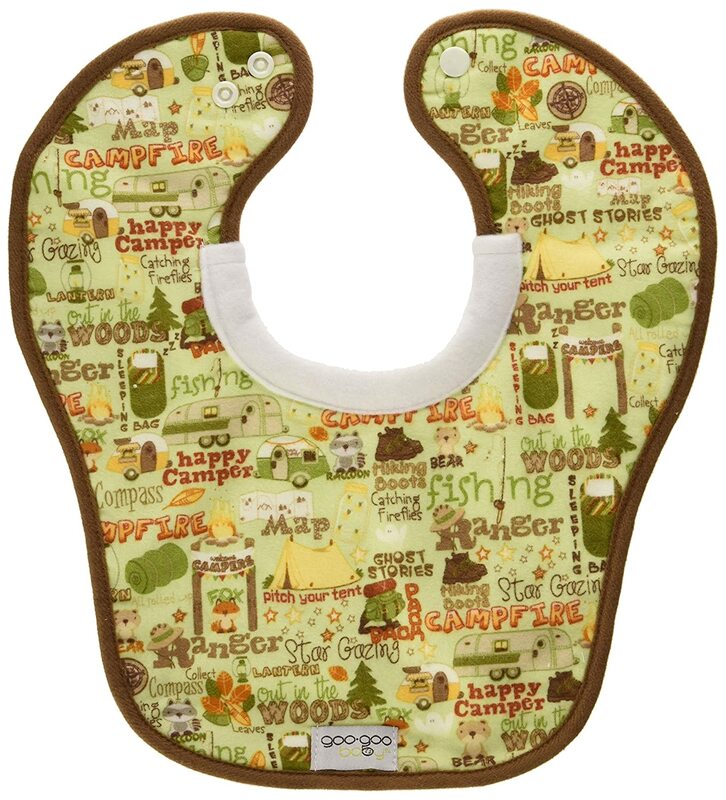 Our silky soft bamboo snap bib keeps baby clean and comfy thanks to luxurious rayon made from bamboo. 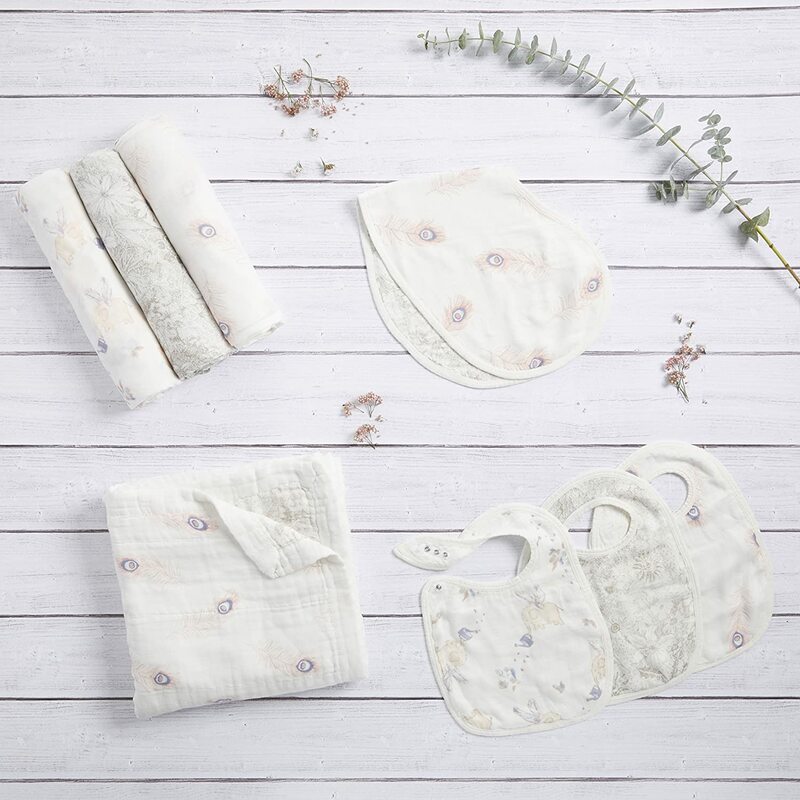 The beauty of this bib—other than its off-the-charts softness—is that it grows with your baby, as it features three snaps conveniently located in the front for an adjustable fit and easy fastening. 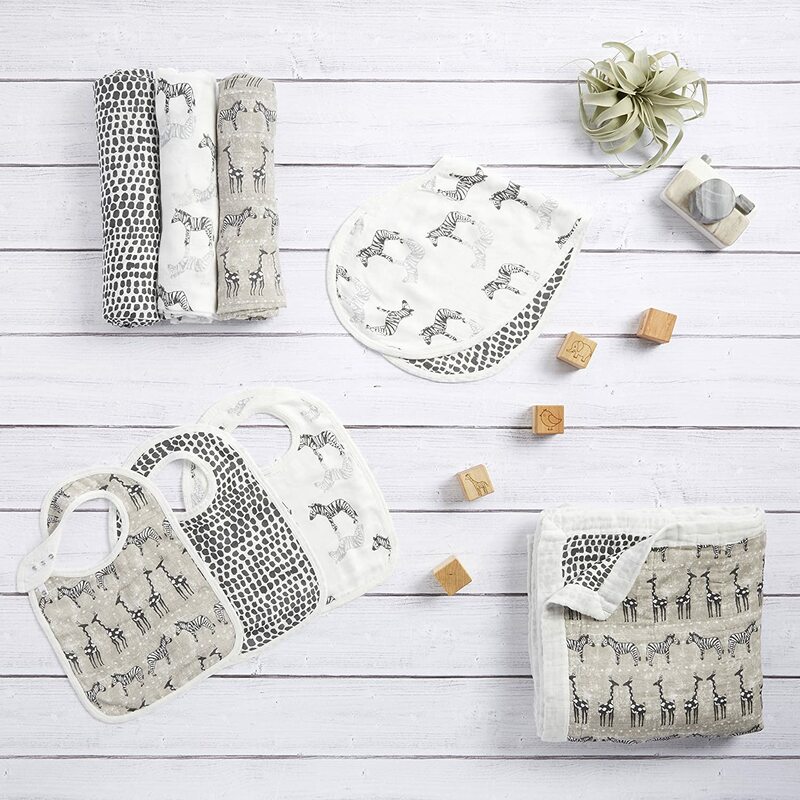 I purchased these for my newborn since he has a tendency to dribble a lot when we are feeding him his formula from the bottle. 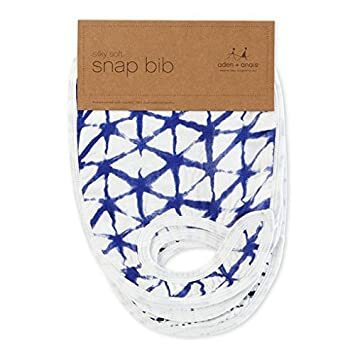 What I found with these bamboo snap bibs compared to the Classic snap bibs is that they get soaked very quickly. In fact as soon as some of the milk drips down his chin and hits the bib, it doesn't stay inside the bib so if I start wiping his face with them, they will rub the milk back onto him. 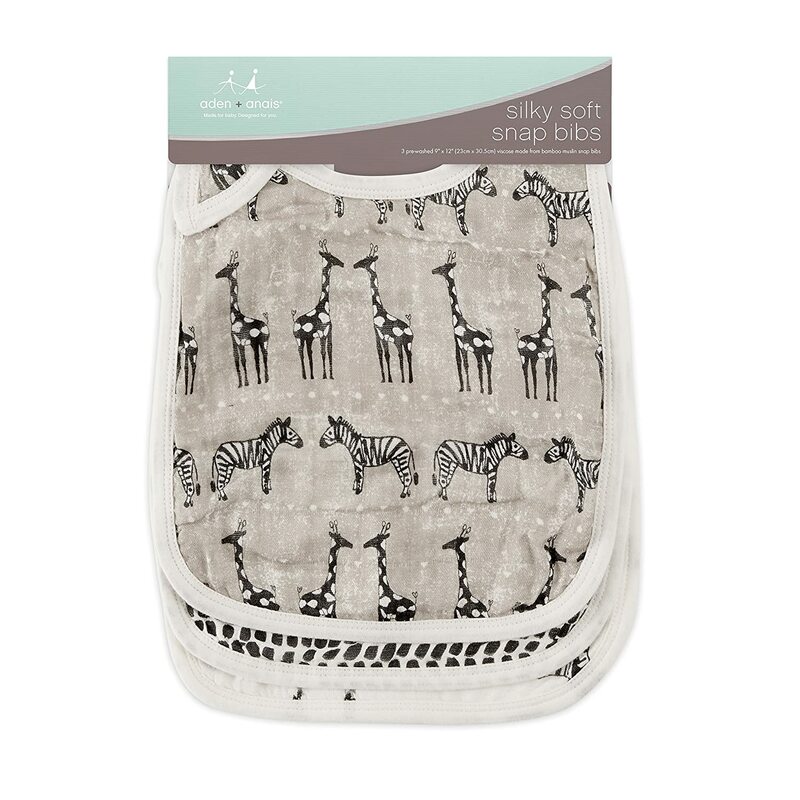 The material of the bibs are nice overall, however I would not purchase these again as the bamboo rayon is very weak (snags on any kind of velcro or diaper clip) and most of the liquid doesn't get retained. 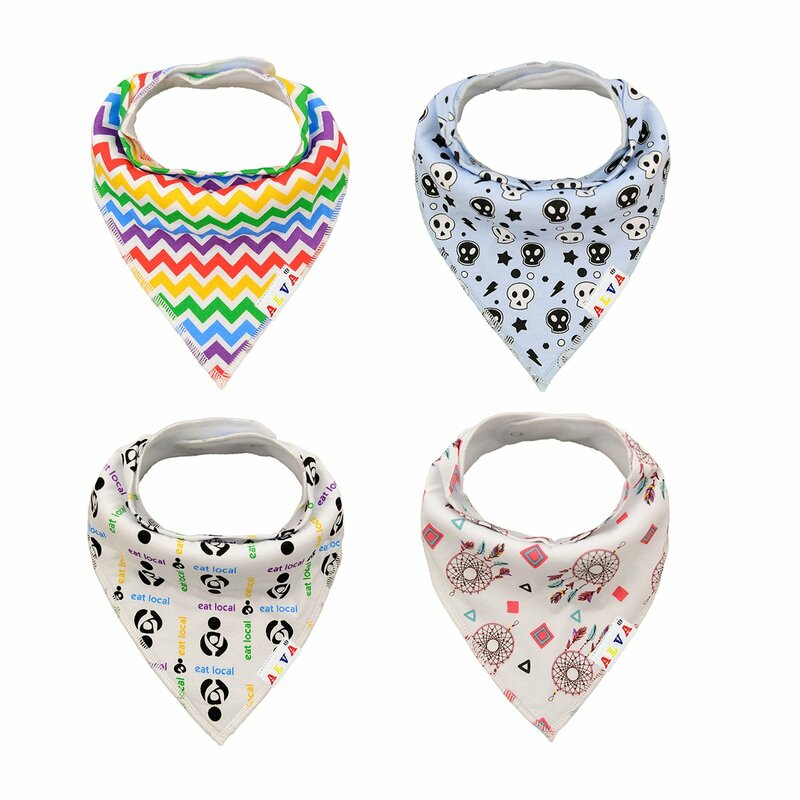 The material is quite thin compared to aden + anais bandana-style bibs, but these do cover more area. 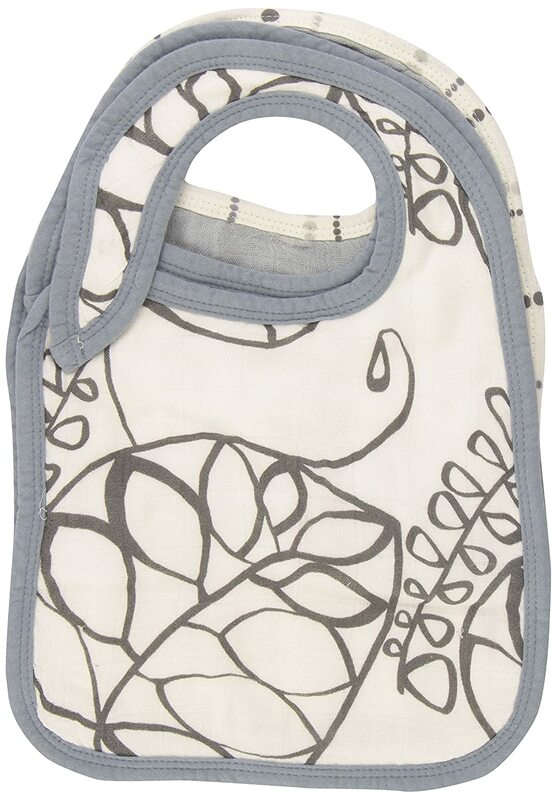 Not great for bottle feeding (the liquid soaks through) but will be better for solids. Very soft muslin! 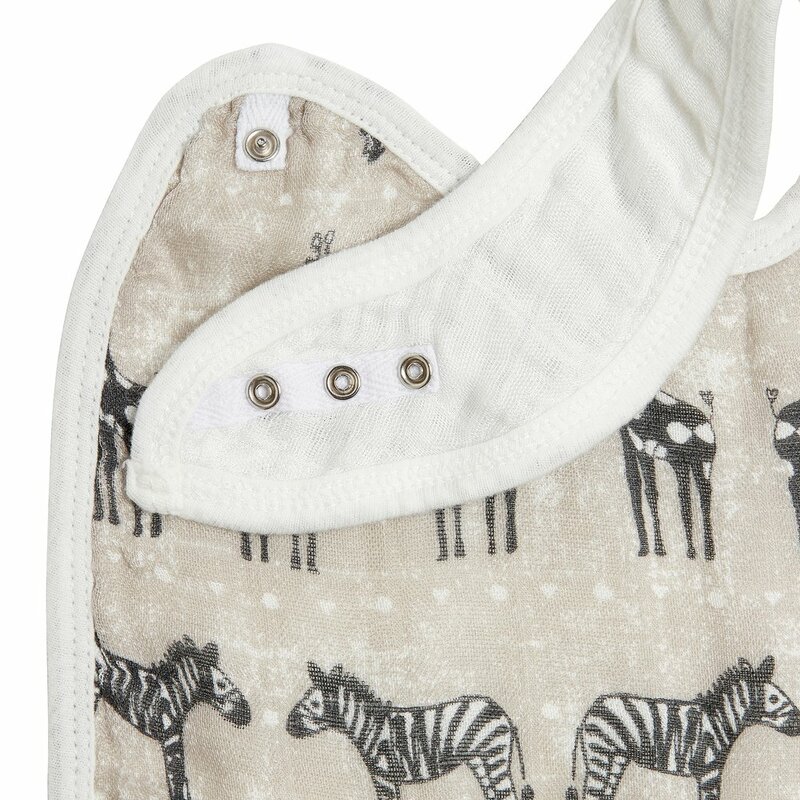 Fantastic for a drooling baby as the fabric is soft and gentle enough to wipe baby's face. holy cow these got straggly very quickly. threads pulled on first wear and they look brutal. 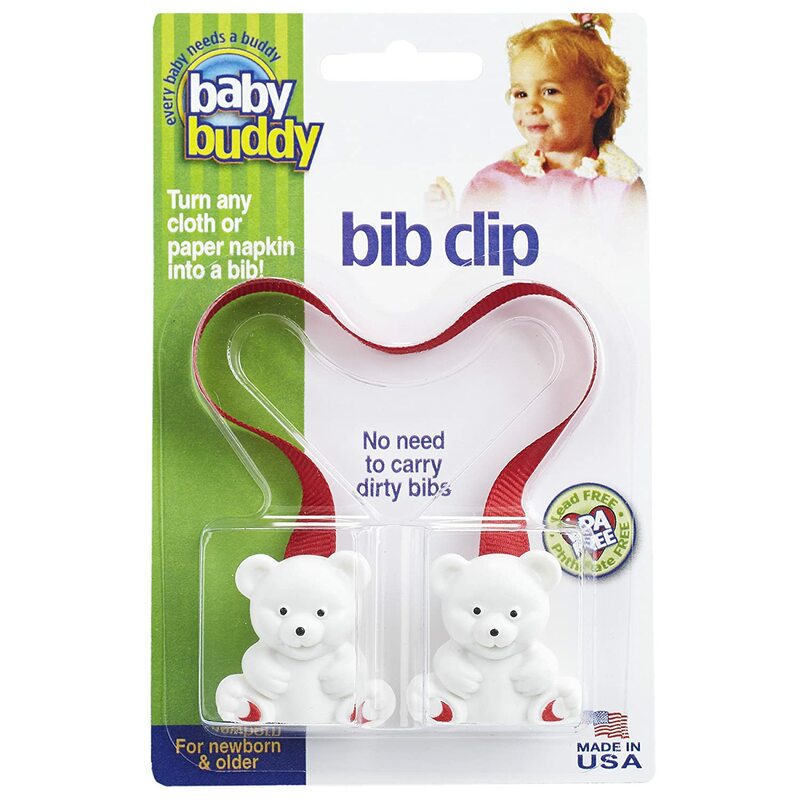 they're my last resort bibs now. they also soak very quickly. 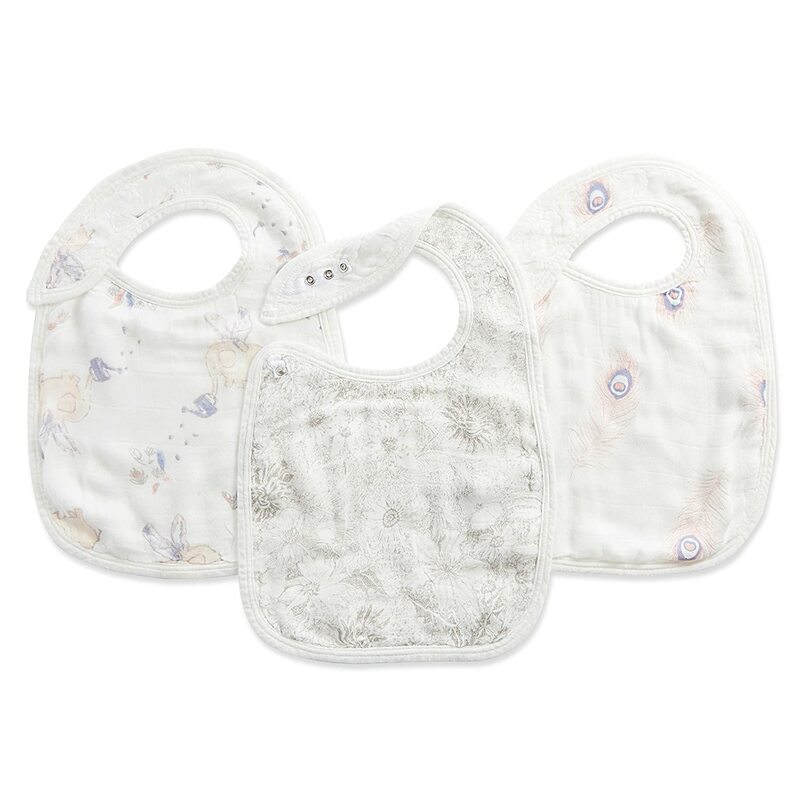 i'm sticking with their classic bibs. 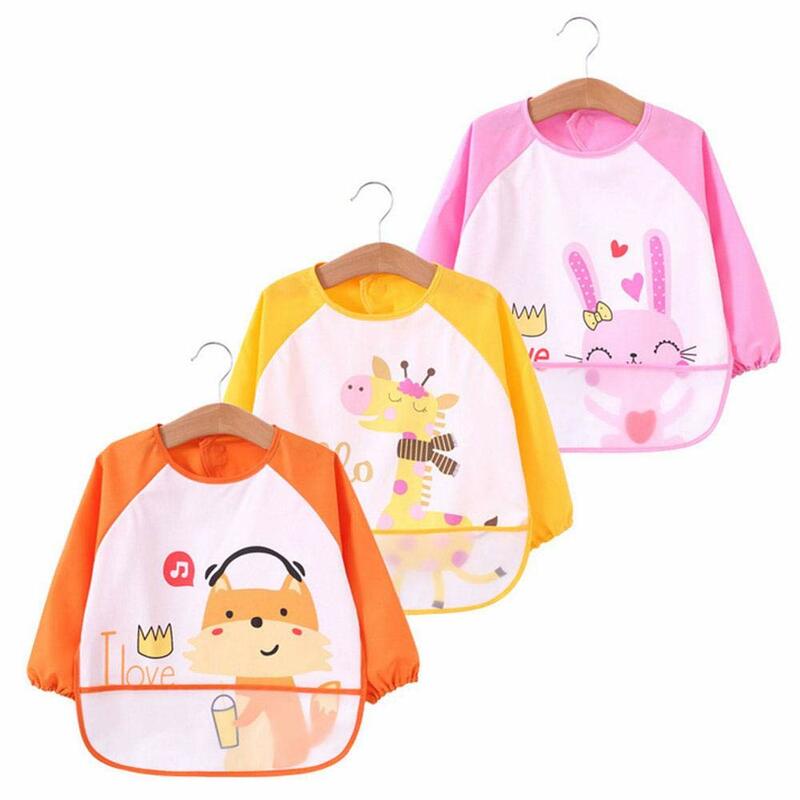 I love these bibs. They are so soft. Don't put them in the dryer though as they will shrink... A lot! ...but instead I just like them. 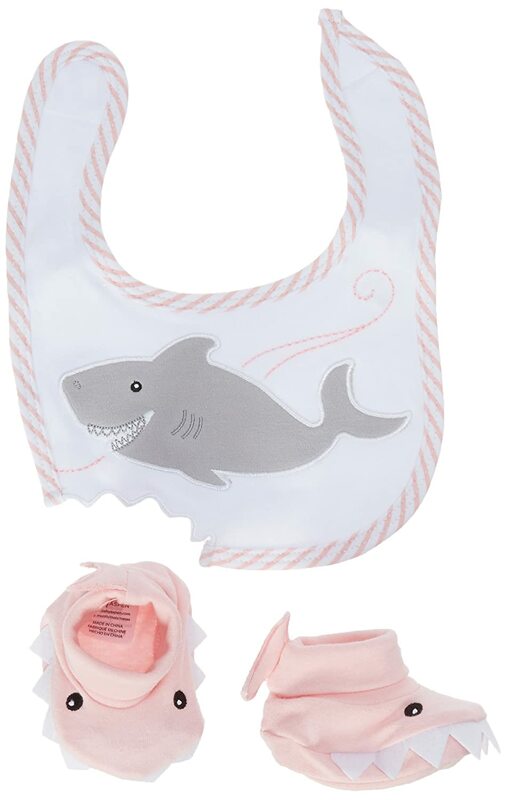 I bought these bibs for my baby who spits up a lot and is teething (and drooling!). 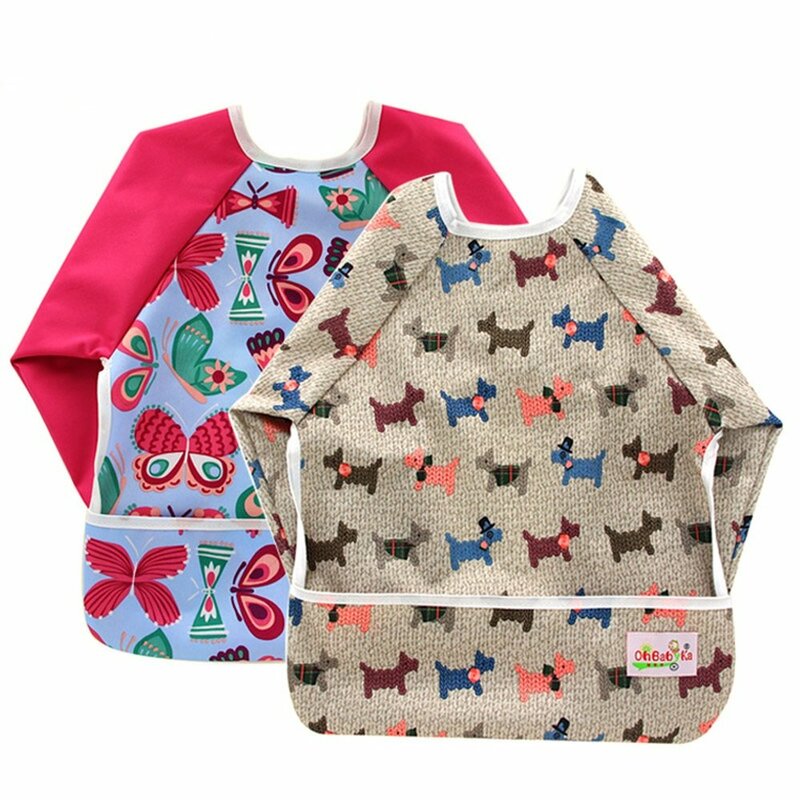 It's hard to find bibs that are somewhat stylish and don't have plastic inside them. These fit the bill in that regard. 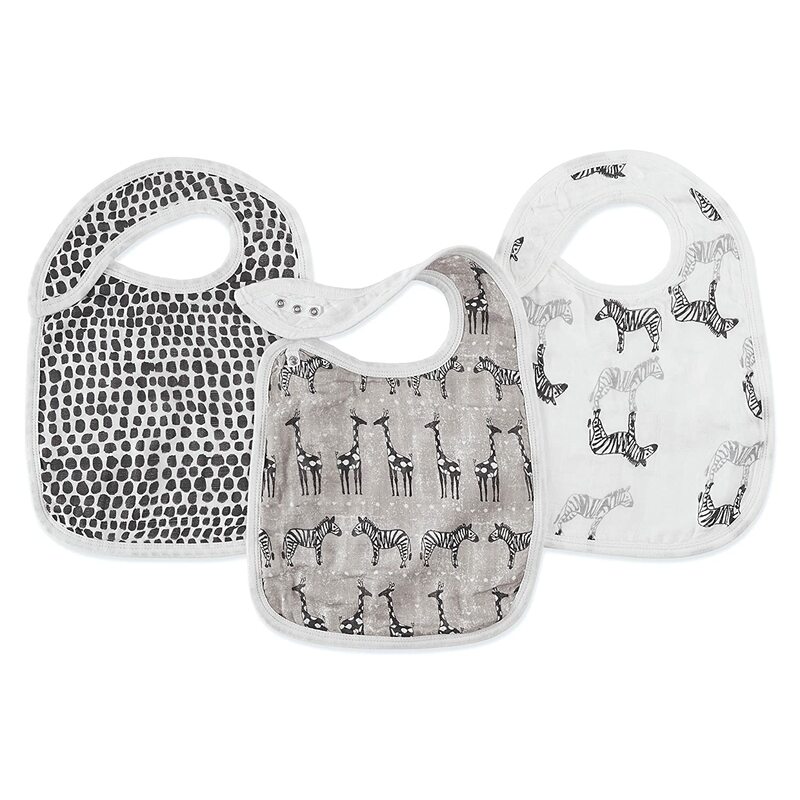 Just like all the other aden and anais bamboo products, these bibs are beautiful and soft, but practical they are not. The fabric catches on everything and is very easily pulled. Don't let them anywhere near velcro ...or a hang nail! 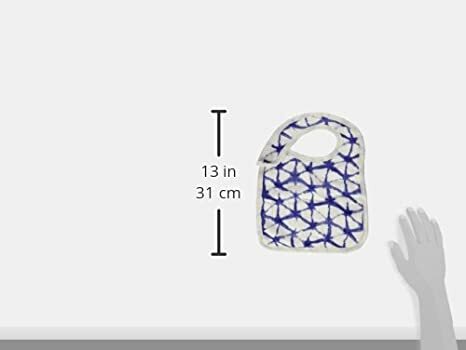 These don't keep their shape that well after washing either. I wish there was one more layer of fabric and that the snaps snapped on under the bib, instead of on top because the flap of fabric rolls up and looks dumb. 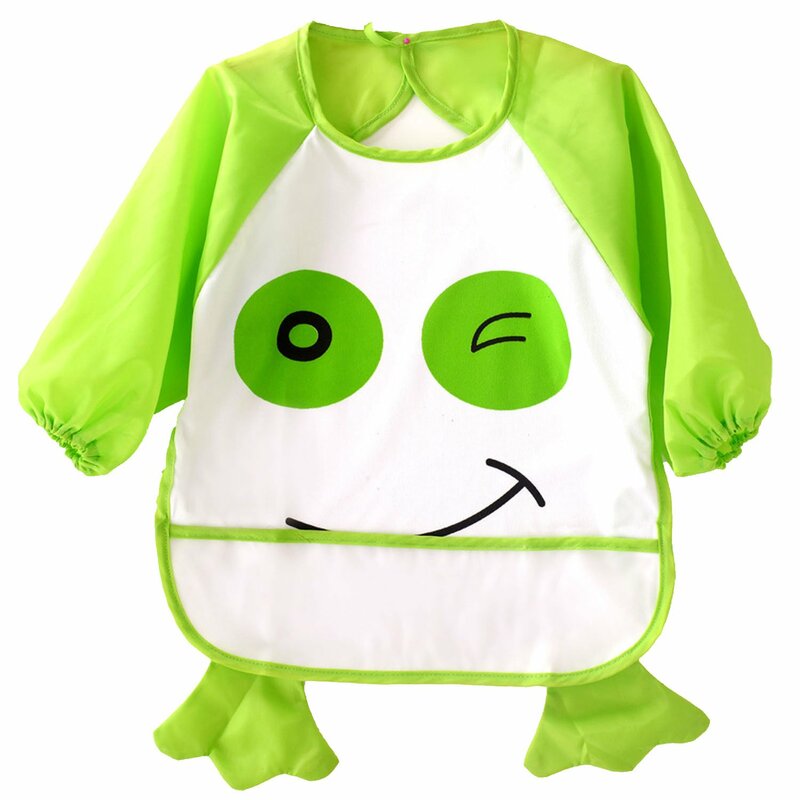 I find the bibs to be a good size, a bit longer than others I have, which is nice. 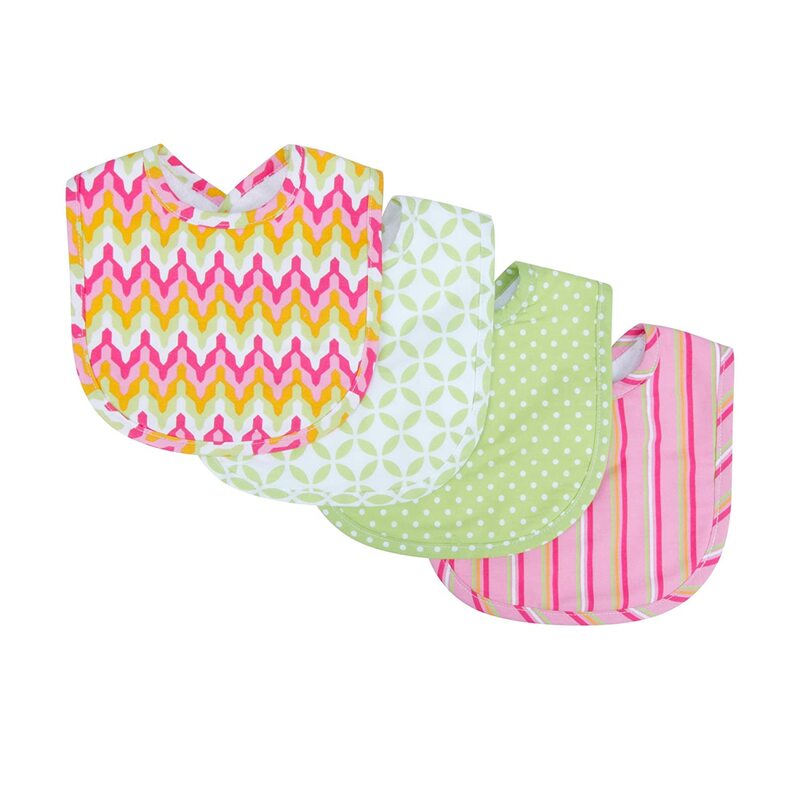 They're absorbent too, not like other bibs we have where the barf just rolls right off. They get soaked pretty quickly around here though and need to be changed frequently. 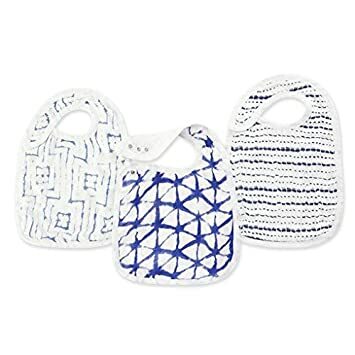 I would not buy the bamboo ones again, but I'll definitely consider trying the regular aden and anais bibs out.